Want a gorgeously golden glow without the commitment? Look no further than this quick-drying skin perfector, which glides on to give a full coverage, skin tone-adjusting tan. A custom integrated sponge means a drama-free application experience, while the formula is infused with nourishing vitamins, aloe vera and caffeine to hydrate skin while it instantly tans, tones and blurs imperfections. A true Instant Hero, this also features light-reflecting nano-particles and micro-pigments to leave you with a glossy golden glow that lasts up to 24 hours (and washes off straight away). 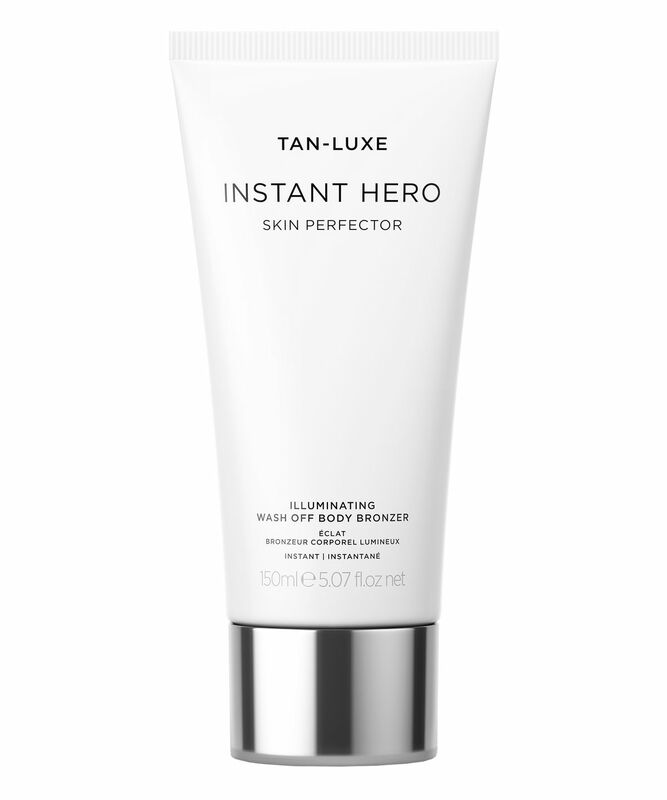 Prepare to abandon your tights: Tan-Luxe’s Instant Hero Illuminating Skin Perfector will instantly perfect your legs and impart a gorgeously glossy golden glow – instantly and effortlessly. This ingenious formula adjusts to all skin tones for tailor-made, natural-looking bronzing. It also features light-reflecting nanoparticles and micro-pigments, which swiftly blur the appearance of imperfections, reducing the look of redness, cellulite and spider veins. 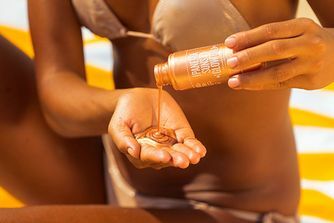 Designed with a custom integrated sponge, the formula is super-easy to apply, delivering full-coverage, glowing tan that lasts up to 24 hours but can be washed off in a flash. For tanning without the commitment, streaks or drama, look no further than this. Apply product onto skin with the integrated sponge, blending in circular motions. INSTANT HERO dries within seconds and promises zero transfer. Removes instantly with soap and water.